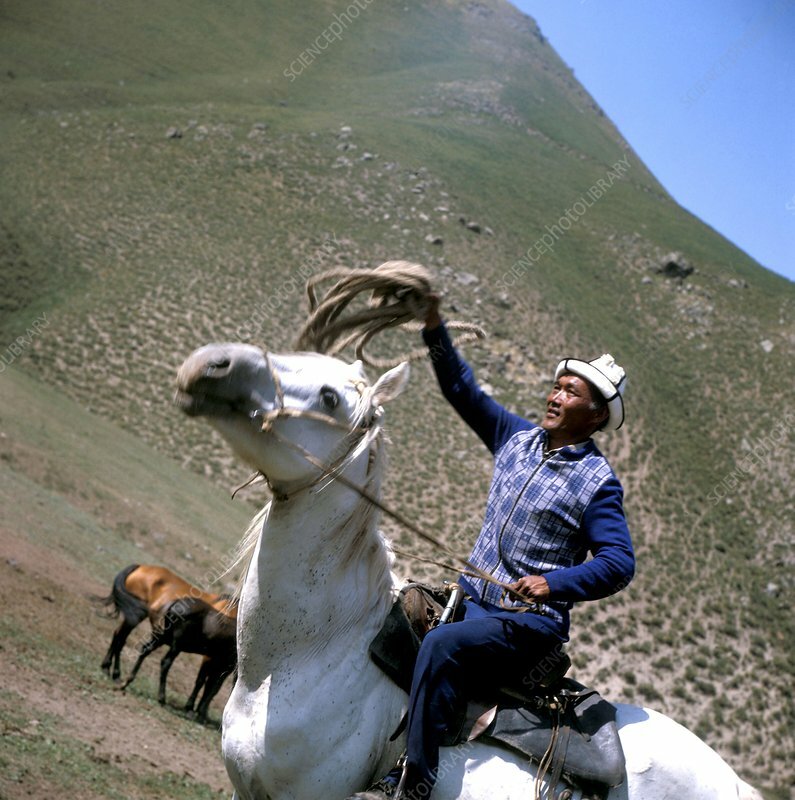 Kyrgyz herder riding a horse. The Kyrgyz are an ethnic Turkic people that live predominantly in Kyrgyzstan. Photographed in Kyrgyzstan.